On this account, “acclaiming” the Lord—that is, giving Him praise—is not only right, it is just. Moreover, it is not simply just, it is a duty. Still more, it’s not only a duty, but our salvation, itself! This is astonishing! 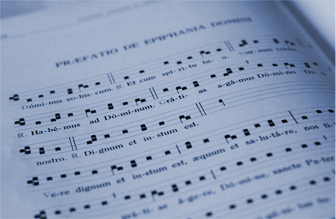 Giving praise to God, our liturgy teaches us, constitutes our very salvation. The two things can never be separated. One who does not acclaim or praise the Lord, then, does damage to oneself. God, of course, loses nothing when we do not worship Him; He cannot be slighted or shortchanged. When we do not worship God, it is we, ourselves, who lose something. When we forfeit the duty to acclaim Him, we forfeit our salvation—and that is a very serious thought.